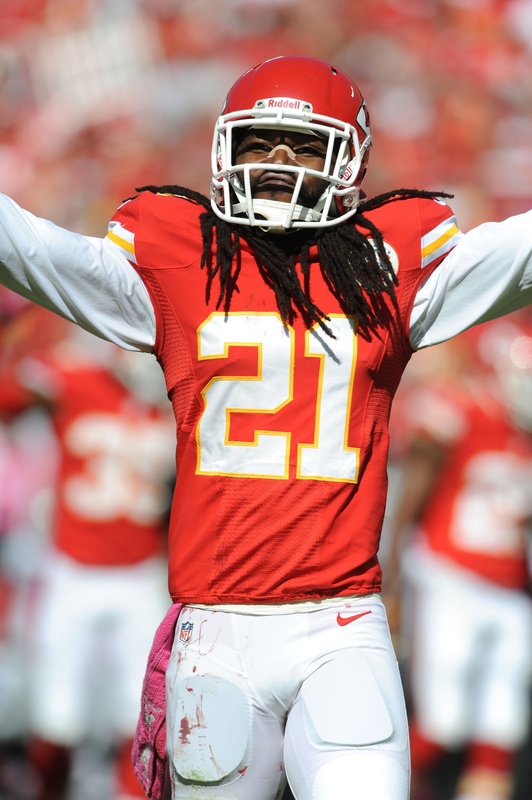 The Chiefs announced today that they have released defensive back Dunta Robinson, according to Terez A. Paylor of the Kansas City Star (Twitter link). Robinson had been on the books for a cap number of about $5.11MM, but the move will free up $3MM+, leaving $2MM in dead money on Kansas City’s cap. Robinson, 31, signed with the Chiefs last March after being cut by the Falcons, but didn’t play well during his first, and seemingly only, season with the team. Despite starting at cornerback for the Falcons from 2010 to 2012, Robinson started just two games for Kansas City in 2013, and was torched by T.Y. Hilton for multiple long completions during the first round of the playoffs. The former 10th overall pick had been scheduled to become a free agent after the 2015 season, but he’ll instead hit the open market this offseason. The veteran was hit with the franchise tag in 2009 by the Texans and signed to a $54MM deal with the Falcons ($22.5MM guaranteed) in 2010. Last winter, KC gave him three-year, $13.8MM deal. Today, Robinson was let go to save $3MM and change while making roster room for former CFL wide receiver Weston Dressler. It’s an unfortunate position for Robinson to be in but from the Chiefs perspective, they can replace Robinson cheaply thanks to the depth of this year’s free agent class at cornerback.